Elna is a freelance writer and a stay-at-home mom of twin toddlers. She helps anyone who wants to break into the freelance writing world. In her blog she shares her insights from a little over a year of freelancing experience. Even though her blog is focused on freelance writing, her posts offer great insights about the business side of it, which makes it useful to starting freelancers from all professions. 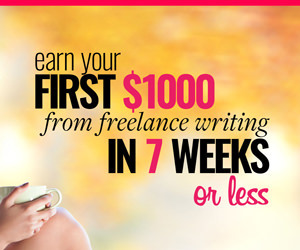 If you are an aspiring freelance writer, check out her course Write Your Way to Your First $1k. As you might have guessed from the blog’s name, Sophie is a freelance blogger. Even though this blog is focused on helping people break into freelance blogging, it is filled with awesome tips on all aspects of the freelance work and life, not just blogging. Both her posts and her guest authors’ posts would help you bring your freelancing skills up a notch in terms of marketing, time management, relationship management, and alike. There’s a forum, too, and regular job posts, if you are an aspiring freelance blogger after all. Linda’s a freelance writer as well. When she’s not coaching and mentoring students, she writes for magazines. This blog is simply must-read if you want to make a living writing articles for magazines. Her Monday Motivation emails always start my week on the right foot 😉 Even if you are not a freelance writer though, you can still benefit from Linda’s no BS approach. Her posts are always super helpful. I’ve been a freelancer for a number of years now but I find a small ah-ha moment in almost every post or email – whether learning a new thing, or just being reminded of a good old trick. Ariel is also a freelance writer and blogger, but what appeals to me in her blog is the marketing focus she seems to have in most of her posts – from helping out starting freelance writers, through posts about productivity and landing clients, all the way to more advanced concepts like diversifying your income. She recently posted her goals for 2016 and it’s clear that her blog is taking a new direction, as she makes a transition from being a freelance blogger toward being a content and online marketer. Even if you are not a writer, this blog will give you good food for thought how to improve your freelance work and life in general. To be honest, after reading Ed’s blog for a while now, I am still not sure what his profession is. I think that above all, he is a mentor and coach for freelancers. His posts are somewhat more mature and inspirational. They are useful, all right, but don’t often get into the nitty-gritty of the every-day freelance life. I value the most those posts, aimed at helping you see the bigger picture; guiding you through the realization that being a freelancer is not an occupation, it’s a lifestyle. These are the freelance blogs I follow regularly. I just realized four out of five blogs are focused more or less on freelance writing, how weird is that? I am not a writer, you know that. And yet, from the hundreds of sites that have passed through my screen, these are the only freelance blogs that really stuck with me. My guess is mainly because of the personal touch they all have. I hope you find them as useful as I do. P.S. If you are a writer, freelance or not, and you need editing services or tips on improving your writing, do check out Jeri’s Word Bank blog. 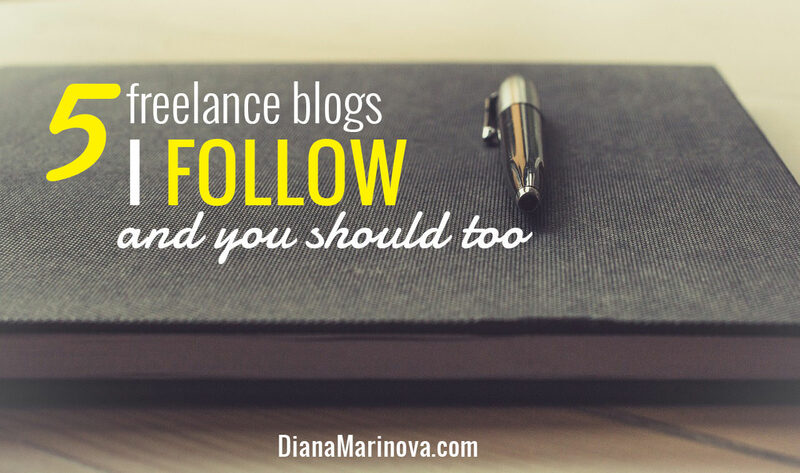 Her blog is not about freelancing, hence – why it didn’t make it on the above list. But it is another blog I diligently follow. She is an awesome person and editor, and her blog posts have helped me many times to write better content as a blogger, marketer and author. P.P.S. I would also recommend you check out Ramsay Taplin’s Blog Tyrant blog. It’s not a freelance blog either, but it is the most helpful blog on blogging that I’ve read. It won’t help you be a better freelancer, per se, but it will help you build your blog and start making money with it, you know – to supplement your freelance income or do it full-time at some point, who knows 😉 Ramsay’s writing style is awesome because it’s simple and easy to understand and follow even if you are absolutely new to the blogging world. I was specifically looking for some new freelance blogs to comment on, so this helps me out greatly. I just finished re-branding and relaunching my own blog in the past couple days, and it’s all now geared towards helping new and aspiring freelancers get started. 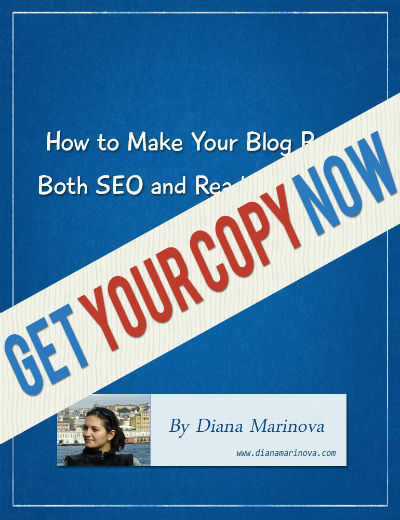 Thanks Diana, I am already following Elna but would really love to check all other blogs that you have recommended. Thank you so much for adding me to your list! I feel so honored *blush*. Thanks for this Diana. I follow the Renegade Writer blog. It truly has some great tips. I’d like to add guerillafreelancing.com. And of course the Upwork blog! It contains great tips for Upworkers like myself. I like your blog a lot, but just don’t have the dedicated time to visit consistently! Thanks so much for mentioning me as one of the blogs you follow. I love Sophie’s and Ariel’s blog too! Thanks for the shout out. It goes without saying, I find the information in your blog posts invaluable and have learned much from them. This is a great list Diana. I got a lot of writing tips from Elna’s blog. It’s definitely a blog worth following! I’m glad you found the post useful, Mercy – do check out the rest of the blogs on that list They all have a specific strength or angel that the other blogs on the list don’t.